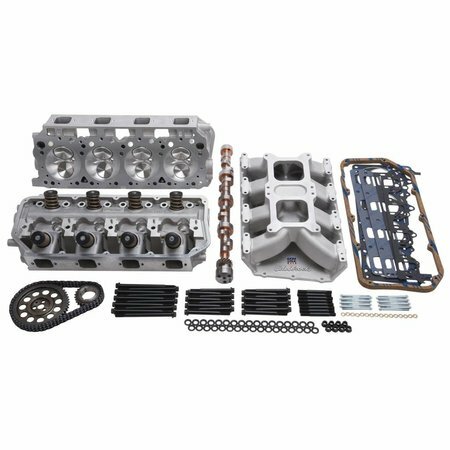 Edelbrock Part # 2052 Performer RPM Top End Kit is designed for Gen II Chrysler 426-572 V-8 Hemi engines. This Top End Kit produced 705 HP & 620 TQ on a 528 c.i.d with 10:1 compression. The kit delivers improved performance in street applications in the 1,500 to 6,500 rpm range. 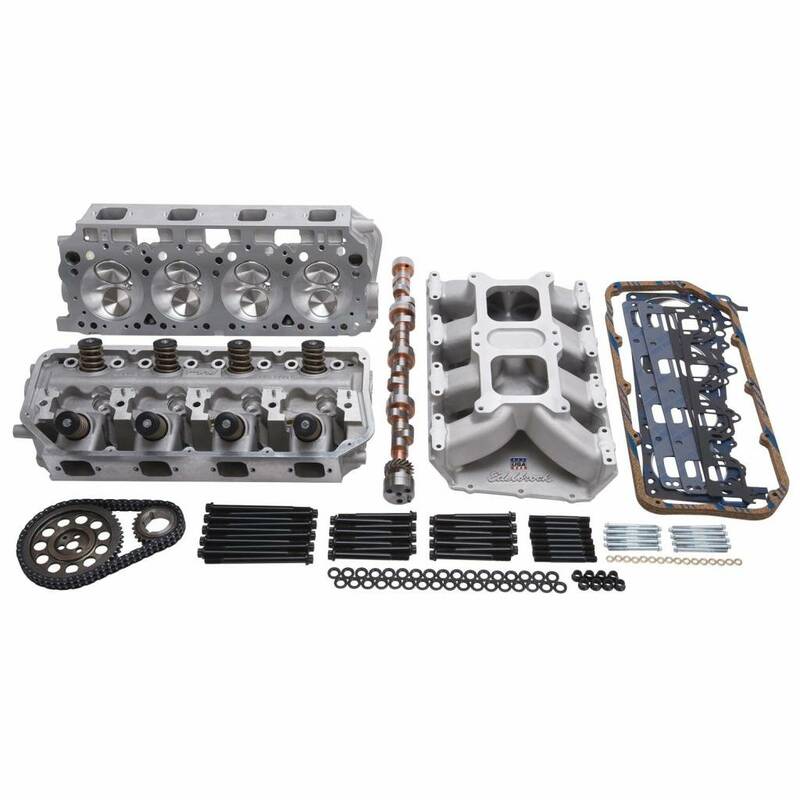 This kit includes RPM Air-Gap intake manifold, Performer RPM cylinder heads, hydraulic roller cam and lifters, timing chain complete bolt kits and an Edelbrock gasket set. 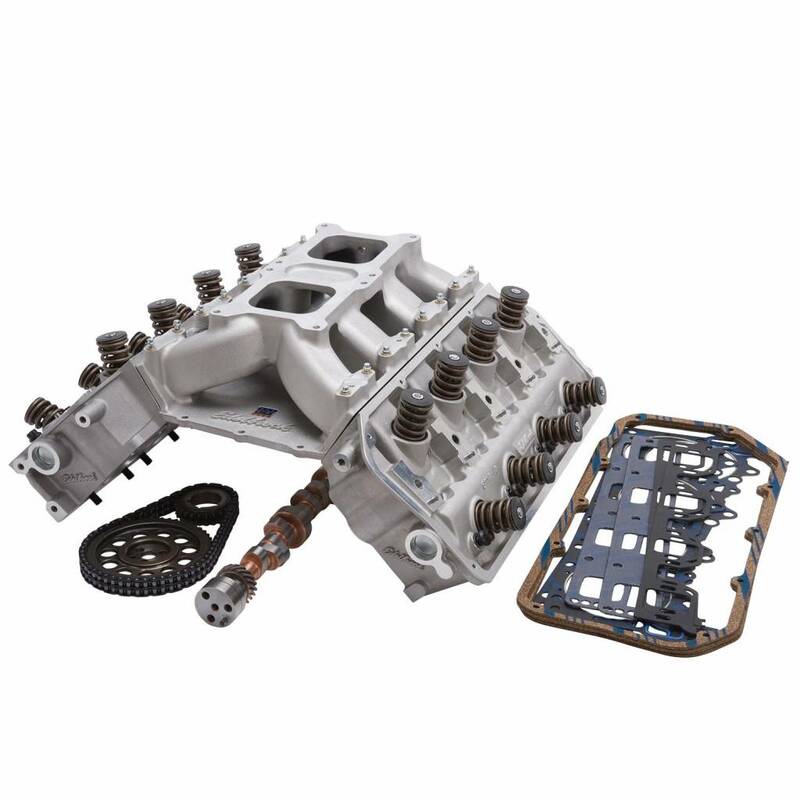 To get great performance out of any engine, all of the components must work together. 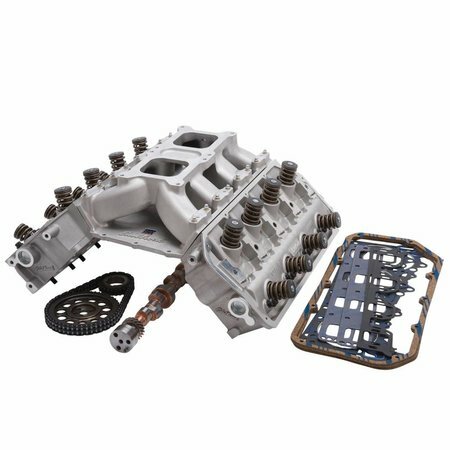 For over 30 years, the Edelbrock Total Power Package system has solved the parts matching puzzle for many street performance enthusiasts. With the introduction our Power Package Top End Kits, now you can get the best Edelbrock performance in-one-box, under one part number with “no guesswork” involved.